…you better get used to dirt. Lots and lots of dirt. There will be dirt on your floors, tracked in by cowboy boots and blown through invisible cracks in the seals around your windows and doors. Dirt will be caked onto his jeans heaped in the laundry room, and large quantities will be washed down the sink drain before dinner. Sometimes, it will look like someone took a scoop shovel and deposited a pile of dirt just inside your front door. Just sweep it up and move on with your life; the workin’ man can’t help it. …you can kiss good-bye any previous Fourth of July traditions you observed that involved any type of water sport, a community parade, and/or barbequing at a lake. If you’re gonna marry a cowboy, you can count on going to a rodeo on the Glorious Fourth, and that’s just a fact. A perk of Fourth of July rodeos is that moms get to rope, too! I look a little lost in this photo…I assume there is a loose cow somewhere in the nearby vicinity that I’m supposed to be roping. At any rate, it’s a rare photo of me on a horse not holding a child in front of me. Well, I was four months pregnant, so I guess the child was in the picture, just not really pictured. I’m so confused right now. I’m just going to stop. …you must be able to sing along with gusto to Tom Russell’s “Tonight We Ride.” If you don’t know why he stole a stallion and rode away on it, then I recommend you look it up on YouTube, put the CD in your stereo, or download that shizz to iTunes and do a little musical research. That song is politically incorrect, more than a little drunken, and slightly violent. It’s basically the unofficial anthem of the working buckaroo. …you would do well to remember to tell him occasionally how proud you are of his cowboy abilities. 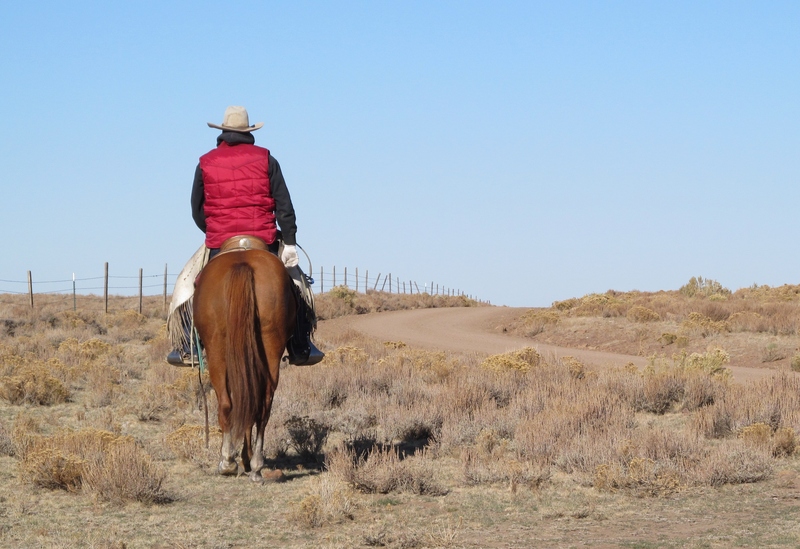 He has devoted his entire working life to pasture loading yearlings by himself, scattering bulls, spotting early signs of sickness in calves, culling how the boss wants, and improving his horsemanship. He may have sacrificed a post-secondary education, opportunities for financial gain and parental approval in order to wear out his saddle and body riding a knot-headed horse all day that he doesn’t even own. …you will get used to speed burners in the fruit bowl and spurs on top of the entertainment center. The working cowboy has his own section in the tack room and possibly a wall or two in the house to store his gear, and yet pieces will inevitably migrate into the kitchen. Scientists should investigate this. …you should take time to enjoy the view. You will likely live in a variety of scenic, if remote, locales that most folks aren’t lucky enough to visit even once on vacation. 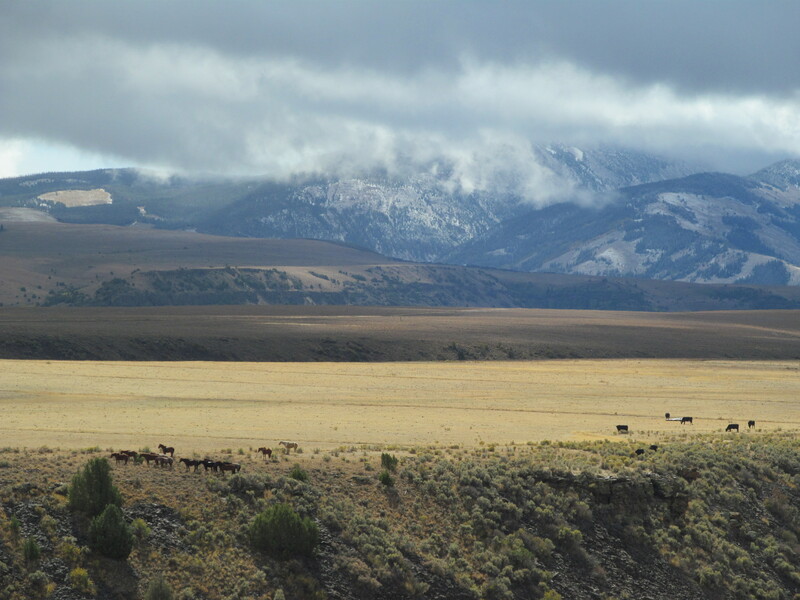 Take a good look at the mountain range, the greening pivot, the sagebrush flat on a cloudy day, the rimrock at sunset. You don’t know how long you’ll be there, so enjoy it while you’re looking at it. Now there’s a pretty sight not just anyone gets to witness in person! …you will be treated to the musical jingling of spurs hurrying through your kitchen in the morning en route to fill his coffee cup and coming up the walk to your house each evening. Clanging rowels make a lovely sound. They signify “Daddy’s home!” to the little one and “my honey made it home safely back to me!” to Mama. 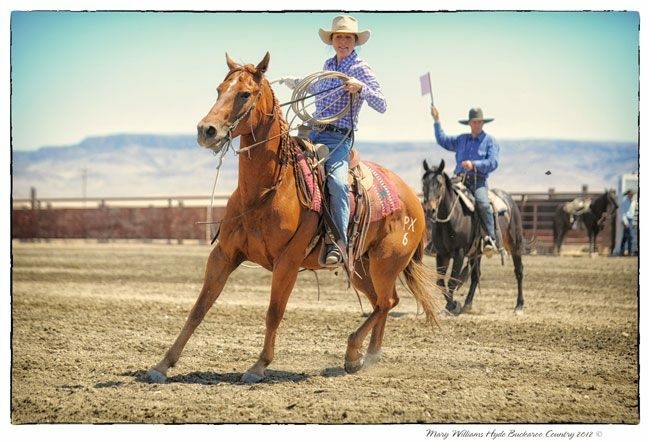 Check out the Nevada Rancher magazine on Facebook! Thanks for reading. I love your stories, And envy your lifestyle. This is how life should be lived. I miss it. Thanks for the memories. A friend of mine posted your link today on FaceBook and I jumped right over to read your post. I love your Blog! Please visit me at mine…. http://www.justthoughtsonablo.blogspot.com Sit a spell and read some of my story’s. I will definitely be following you! I’ve been married to my cowboy for almost 57 years. Oh , how true are the above statements. I Love my life on the ranch, however could do with less dirt! I’ve been married to a real cowboy for sixty-seven years , will be sixty-eight June 4th and at eighty five he still works in a feed yard riding pens… ///Warrenetta. Congratulations to you both on a longstanding marriage! And good for your husband to still be riding pens at 85. That is impressive. Whenever Mom sends a link on facebook I read your article and read them. I sure enjoy them as I enjoyed you when we worked together. I was recently moving to WA state last week and I found an old picture of us walking at the Ranch. So happy that you are still following God’s will, love you and God Bless!! Thank you, Judi, I appreciate your kind words! I hope all is going well in Washington. Take care and God bless you as well! Ain’t that the truth! Glad you are loving your life, that makes me happy! Love it Jolyn, as usual! I love this! !❤️❤️❤️This could also be titled, If You Marry a Reining Trainer. The dirt, the 4th of July (albeit, reinings instead of rodeos), the music, the migrating equipment and tack…but it’s a happy life and I do love that man! And no one else’s spurs sound the same as his, it’s funny how even the babies can tell his spur jingle before seeing him, but don’t even look up when it’s someone else. So glad to hear you liked it! There are lots of similarities between reining trainers and working cowboys, I’m sure 🙂 Have a wonderful day! If you are still at the ORO and haven’t read Bob Sharp’s ‘Big Outfit’ I urge you to find a copy and read it! He was the superintendent from 1937 to 1952. Hi Roger. Yep, we are still at the ROs, just got here in December. We’ll look for that book, my husband especially enjoys reading that type of stuff. Thanks for the recommendation!